"I have two fools for sons, one in prose and the other in verse"
"I used to have a Jansenist brother; his ferocious manner gave me a distaste for 'the party'"
It is a fascinating, if little known, fact that Voltaire's elder brother Armand was a fanatical Jansenist. Frustratingly, we know very little about him; Voltaire's writings amount to several million words but he is almost entirely silent on the subject of his family. Most of the information available derives from the researches of Auguste Gazier who in 1906 published an article in the Revue des Deux Mondes entitled "Le frère de Voltaire". 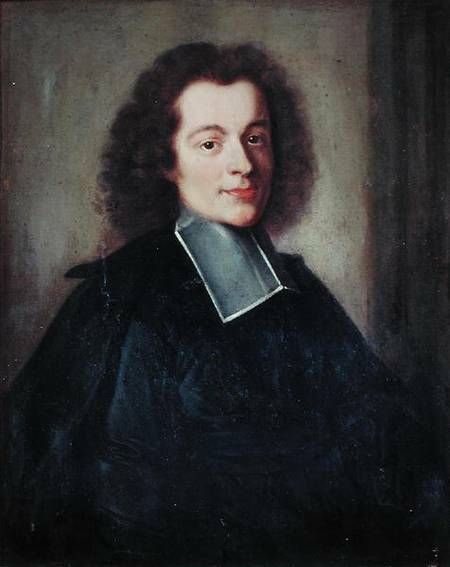 It is one of the minor mysteries of Voltaire studies that Armand was sent to be educated by the Oratorians at Saint-Magloire, whereas Voltaire in 1704 attended the Jesuit Collège Louis-le-Grand. The rising tide of anti-Jansenist opinion is often cited in explanation, but would be nice to know a little more about the circumstances, especially since Saint-Magloire was not a school but a seminary. 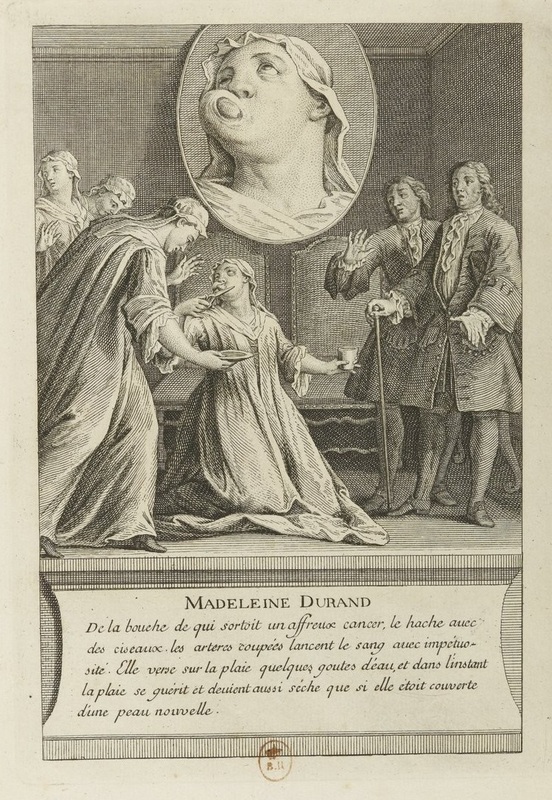 In 1709 both brothers attended the marriage of their sister Marguerite-Catherine; Armand, then aged twenty-four, was described in the register as a tonsured cleric living at Saint-Magloire. (see Gazier p.616-7). In later years he liked to be known as "the abbé Arouet". However, there is no suggestion of a religious career; Armand inherited his father's office; the Royal Almanach lists Arouet, père et fils, as officials of the Chambre des Comptes without interruption until Armand's death in 1745. ...my brother, especially, is the least proper person to be trusted with such a secret, not only on account of his indiscreet temper, but also of the ill usage I have received from him since I am in England : I have tried all sorts of means to soften, if I could, the pedantic rudeness and the selfish insolence with which he has crushed me these two years. I own to you, in the bitterness of my heart, that his insufferable usage has been one of my greatest grievances. La petite Aubignan in action - plate from La vérité des miracles, vol. 3, possibly by Restout. View of the Chambre des Comptes in the later 17th century. The account of the fire in Gazier's manuscript Notes historiques hints more explicitly at Armand's involvement. In one of the few letters to mention his brother, Voltaire wrote to the abbé Moussinot from Cirey in December 1737 expressing his relief that Armand's lodging and furniture had not been destroyed in the fire as first reported. Perhaps Voltaire had heard rumour of Armand's liaisons with Gabrielle Moulère and her friends since he wanted to discover whether or not he might have married secretly (which would have affected his own project to marry off his niece,the elder Mlle Mignot): "They say that he is heavily involved with in the affair of the convulsionaries ("fort intrigué dans l’affaire des convulsions"). What fanaticism! Do not have anything to do with such horrible follies!" In a subsequent letter Voltaire commented that he had accepted his niece's rejection of his proposed suitor with good grace, so that she might appreciate "la différence de mon caractère avec celui d'Arouet". 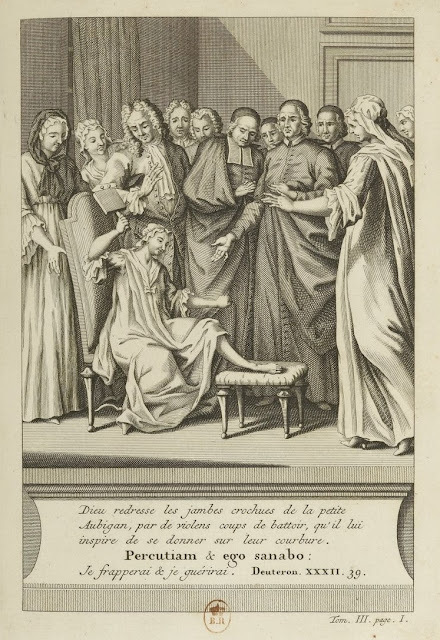 Armand died in his rooms in the Chambre des Comptes on 18th February 1745 at the age of almost sixty, probably from complications of a bad leg; the funeral was held the next day in the Church of Saint-Barthélémy where Arouet père lay buried. 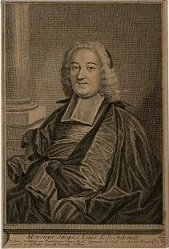 Voltaire was his inheritor and signed the acte de décès: " Francois Marie Arouette (sic) de Voltaire, bourgeois de Paris, demeurant rue Saint-Honoré, in the parish of Sainte-Madeleine" (signed "f.m. arouet de voltaire"). In Voltaire's correspondence for 1745 there is no mention. Gustave Desnoiresterres, Voltaire et la société française au XVIIIe siècle Vol. 2: Voltaire au Château de Cirey. (1868). The novelist Jean-Claude Bologne has written a fictionalised biography of Armand, Le frère à la bague (1999).